RELAX AND UNWIND: A 20-minute(ish) Restorative Yoga Sequence designed to help you let go of your day and release tension and stress from the body and the mind. 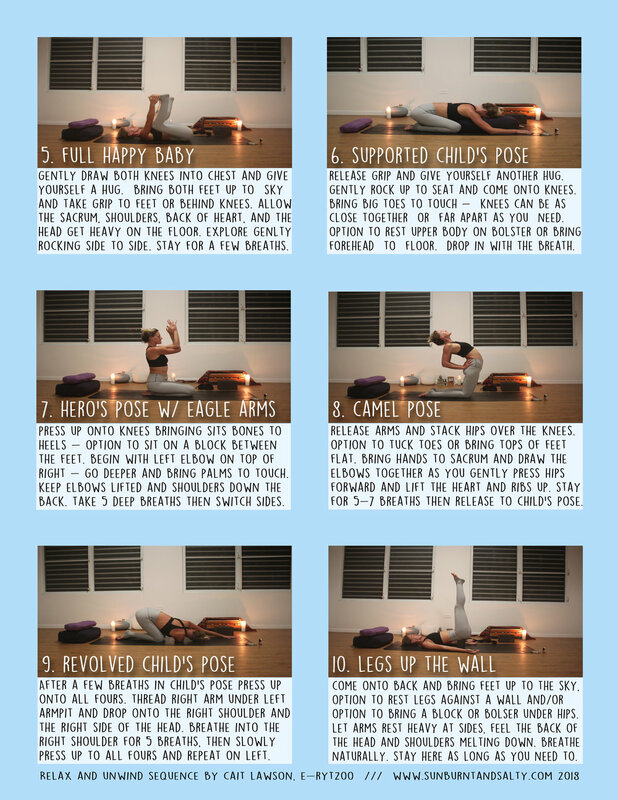 Practice wherever is comfortable and use whatever pillows, blankets, bolsters, or other props you need to support yourself while in the poses. Enjoy!